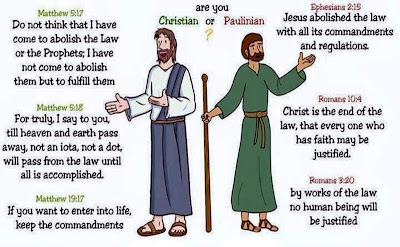 It can be said that Jesus, assuming he actually existed, was the engineer of the Christian religion and that Paul was the architect. As we know, in the design of any structure, engineers must work together with the architects to ensure a sound, functional, and aesthetic finished product. But it didn’t happen in this case. Jesus was already dead by the time that Paul had his alleged vision, so a direct collaboration was not possible between the two men. But Paul had the ability to interview Jesus’ disciples and learn the essence of Jesus’ teachings. It is evident that he didn’t do this or even consider it to be necessary. He acted as if he knew more about Jesus than the disciples, a clearly implausible claim. If someone today was writing about Ronald Reagan but never bothered to interview anybody who knew him, how much credence would you give his work? This is the situation with Paul. We can confidently dismiss his writings as that of a disjointed, egotistical fanatic who misinterpreted his dreams and visions as an authentic facsimile of reality. Considering that his were the original writings of the New Testament and that much of the gospels were influenced by them, the truth of Christianity stands on very fragile ground.